Schizophrenia is characterized by social cognitive impairments that predict functioning. Social cognitive training aims to target these impairments. Although it can improve the targeted social cognitive domain, it is unclear if the training generalizes to non-targeted domains and to functioning, with lasting effects. This randomized controlled trial examined the effect of a targeted facial affect recognition training program, Training of Affect Recognition (TAR), in persons with schizophrenia. Individuals with schizophrenia were randomized to receive treatment as usual and TAR (n = 24) or treatment as usual (n = 24) after assessments with a comprehensive protocol at baseline (T1). Participants were reassessed immediately after the intervention period (T2: after 8 weeks) and at 3-month follow-up (T3). The protocol included tests of social cognition (facial or body affect recognition, theory of mind), nonsocial cognition (Matrics Consensus Cognitive Battery), clinical symptoms (Positive and Negative Syndrome Scale, Calgary Depression Scale for Schizophrenia), functioning (self-reported, social or nonsocial functional capacity), self-esteem, self-efficacy and insight. Linear mixed models yielded a significant group × time interaction effect for a non-targeted social cognitive domain (theory of mind) and a trend-level effect for social functional capacity with the intervention group performing better over time. No beneficial effects on nonsocial cognition, other measures of functioning, clinical symptoms, or self-esteem/self-efficacy appeared for the TAR program. This study provides evidence for transfer and durability effects of facial affect recognition training to theory of mind, but also highlights the need for additional treatments to achieve functional benefits. This work was supported by the Norwegian ExtraFoundation for Health and Rehabilitation/Norwegian Council for Mental Health (Grant #2011/3/0025 to AV), the South-Eastern Norway Regional Health Authority (Grant #2010007 and #2017069 to AV, #2014102 to IM), Division of Mental Health and Addiction, Oslo University Hospital (to AV and AL), and the Department of Psychology, University of Oslo (personal postdoctoral grant to AV), the Fulbright Foundation for Educational Exchange (visiting researcher scholarship to AV). 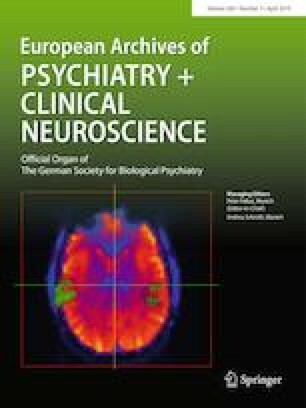 The authors would like to thank the participants, their treating clinicians, the administrative personnel at our collaborating clinical units, and the research personnel at the Psychosis Research Unit, Oslo University Hospital for making this study possible. None of the authors report any conflict of interests. The study was approved by Norway’s Regional Ethics Committee for Medical and Health Research (South East) and was performed in accordance with the ethical standards laid down in the Helsinki Declaration. All participants gave their informed consent before their inclusion in the study.